We bring educational practitioners together in collective action to solve problems of practice identified in research to accelerate improvement across networks of schools. Use systems thinking – pursuing a deep understanding of the system producing the current outcomes and the variability in outcomes. Schools That Lead teaches teachers and principals how to lead improvement efforts at the classroom level, thus elevating student outcomes, with special attention paid to the schools’ most vulnerable children. Each Network school forms an Improvement Team with the principal and three teacher leaders, who work together to deeply understand the problem of practice in their context, set clear aims and measures for success, make clear their theory of practice improvement, test changes that could lead to improvement and consolidate and share their learning in their school and across the Network. Schools That Lead supports each Improvement Team with face-to-face networked professional learning and virtual school-specific follow up through the Teacher Leadership Initiative (for two teacher leaders from each school), the Improvement Facilitator Initiative (for the third teacher leader) and the Principal Leadership Initiative. 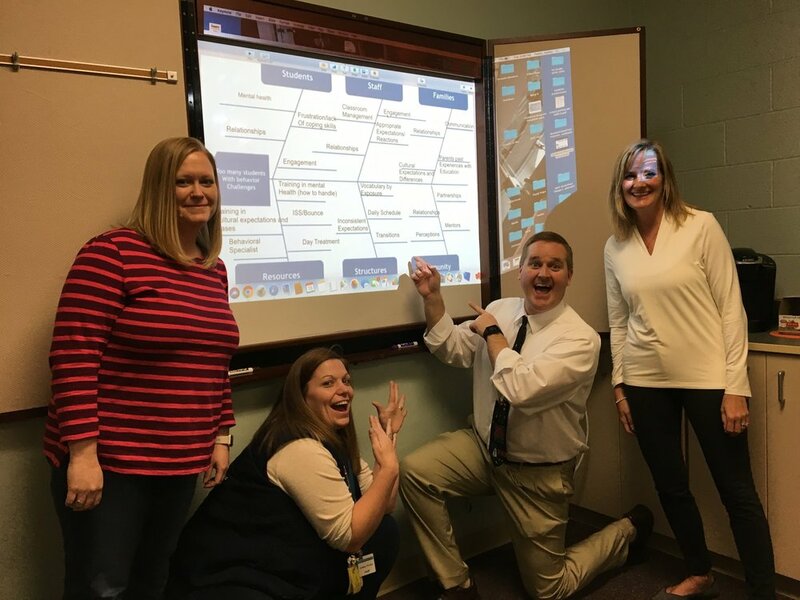 Together, the Improvement Team leads a specific improvement effort at their school focused on achieving better student outcomes. Schools across the state work to solve a shared problem as a network to accelerate learning across all Network schools. Elementary schools work to reduce the number of students with early warning indicators in course failures, absences and discipline. All in the pursuit of improving equitable student outcomes in Each school.